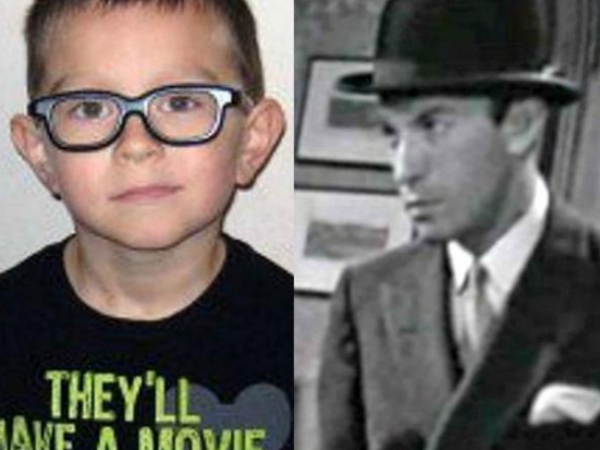 A ten-year-old boy claims to be a reincarnation of a 1930s Hollywood actor-turned agent. Ryan Hammons, from Oklahoma, USA, appeared on the US television show, Today, where he spoke about his past life. The boy’s mother, Cyndi, said the reincarnation stories began with vivid nightmares when Ryan was just four. A year later, Ryan revealed his true identity to his mother. Ryan told his mother of his previous experiences travelling the world, dancing on Broadway and working with iconic stars like Rita Hayworth. "His stories were so detailed and they were so extensive, that it just wasn’t like a child could have made it up." Her son’s incredible revelation led Cyndi to research his claims. "We found the picture [of the actor], and it changed everything,” she said. The photo was found in a library in a Hollywood memorial book, showing a shot from a 1932 film called Night After Night. "She turns to the page in the book, and I say ‘that’s me, that’s who I was,'" reveals Ryan. A film archivist was able to identify the unknown actor as Marty Martyn, a former movie extra who had no lines in the movie. Dr Jim Tucker of the University of Virginia keeps a record of similar reincarnation cases and claims Ryan’s story as the most convincing. "If you look at a picture of a guy with no lines in a movie, and then tell me about his life, I don’t think many of us would have come up with Marty Martyn’s life. "Yet Ryan provided many details that really did fit with his life."